"It is the prime duty of the new government to tackle inflation"
The biggest challenge faced by governments of emerging economies today is to choose between growth and inflation. Both are intertwined. Growth in emerging economies like India can be achieved with comparatively low capital infusion. Such growth turns unsustainable, however, without inflation curbing measures in place. In 2008/09, the government tried to promote growth by announcing three stimulus packages to the tune of Rs 200,000 crore within three months. Short-term growth was achieved, but in the longer term, inflation spiralled and it has become extremely difficult to achieve similar growth levels. The inflation rate for India is 8.3 per cent, lower only than those of crisis-stricken countries like Ukraine, Afghanistan, Egypt, Venezuela, Sudan, and Zimbabwe to name a few. Such trends of continuous inflation in the past have exploded into uncontrollable hyperinflation, which has a devastating effect on a country's economy and takes decades to recover from. There have been cases in the past where governments, trying to stimulate growth, made deficits so high they could not pay off their debts and this spiralled into hyperinflation. The possibility of an El Nino this year also doesn't help India's cause. India will face severe effects if there is a drought. It is thus the prime duty of the new government in tandem with the RBI to roll out policies to tackle inflation. "The economy faces stagflation, the government must focus on growth"
With the budget due in July, the new government faces the key concern of choosing its main fiscal policy aim: should it promote growth or tame inflation? 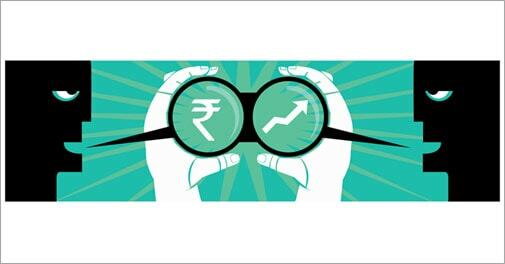 Despite the RBI pushing up the repo rate to eight per cent, inflation remains threatening. The reason is that the Indian economy faces the prospect of stagflation - a rare but sticky phenomenon. Contractionary policies have not curbed inflation. Slowdown across the industrial sector is worrisome as seen from the dismal IIP figures. Food articles constitute almost 50 per cent of the consumer price index (CPI), and an inelastic demand for agricultural output has pushed for double-digit CPI. With welfare policies like MGNREGA, not only has the purchasing power of the rural household moved upwards but minimum farm wage price has also increased. Meanwhile, the economy is stuck with supply bottlenecks such as disintegrated supply chain networks and, of course, lackadaisical government machinery. The new government definitely needs to focus on growth with a two-pronged strategy. First, it should concentrate on infrastructure. This should aim at boosting productivity through resource optimisation (the riverlinking programme, single-window clearance, etc) rather than doling out more subsidies. Second, a quick approval of the Goods and Services Tax is needed to ease cash flows and help reduce the ballooning fiscal deficit.